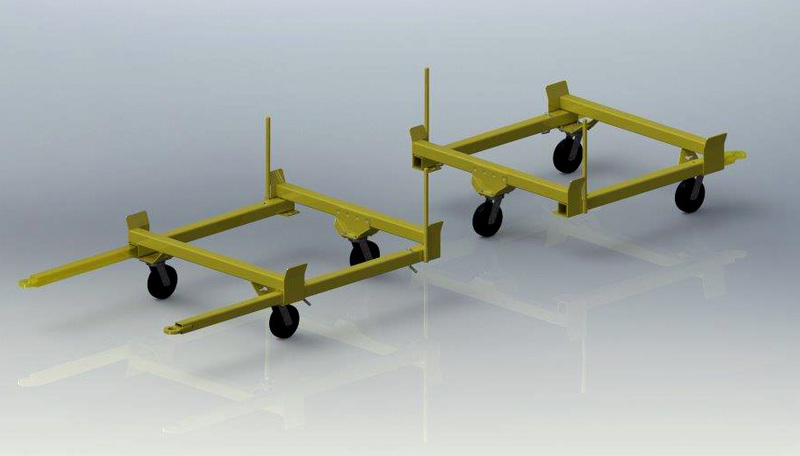 Rhino Skates, is a dual set of bulk material handling carts. Designed to carry lumber, or other stackable material, Rhino Skates as a pair are rated for 6,000 pounds. Rhino Skates joins the Fork Rhino, a fork lift truck attachment, in ADI’s products that provide material handling solutions. Can be towed utilizing Automation Devices’ Fork Rhino fork lift attachment.